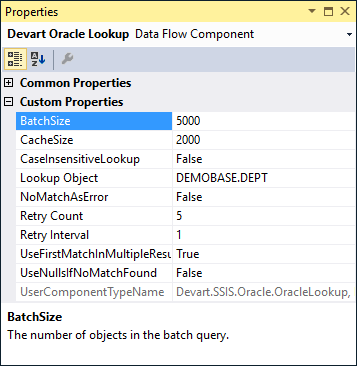 Devart SSIS Data Flow Components for Oracle allow you to integrate Oracle data with other databases and cloud applications via SQL Server Integration Services (SSIS). 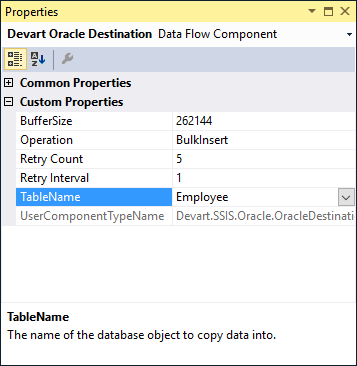 Devart SSIS Data Flow Components for Oracle allow you to integrate Oracle data with other databases and cloud applications via SQL Server Integration Services (SSIS). 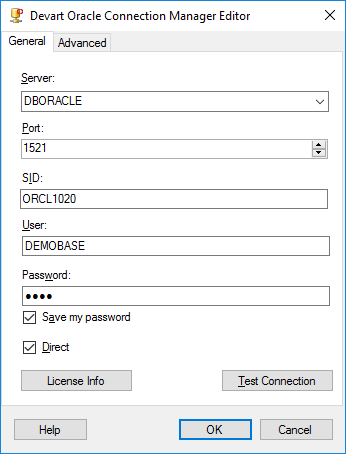 They include optimized Oracle Source, Oracle Destination, and Oracle Lookup components and provide their own Oracle Connection Manager with lots of Oracle-specific connectivity features. 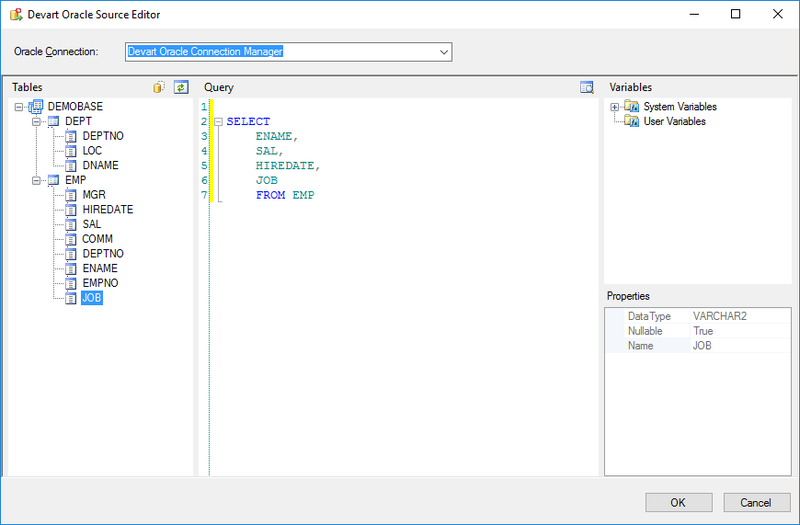 Oracle-specific Connection Features Our SSIS components for Oracle include their own connection manager, offering support for a lot of Oracle-specific and other features. It offers the Direct connection mode that allows you to connect without Oracle Client. And for OCI mode it offers a wide number of settings for configuring OCI. Devart Oracle Source component offers a convenient editor, which displays all the connection tables and their columns and allows you to quickly build a query to Oracle via drag-n-drop. It also displays the list of available system and user variables of the package, allowing you to quickly add them to your select statements. If necessary, you can also quickly preview data, returned by the source, and check whether you query returns what you need. Devart Oracle Lookup component offers very high performance because of the advanced optimization techniques used. It uses select statements that check several rows at once, and caches the returned results to reduce the number of round-trips to the server. Database-specific Optimizations in Devart Oracle Destination To speed up loading data to Oracle, Devart Oracle Destination uses the Direct Path interface in the OCI mode and Array Binding feature in the Direct mode. This helps to perform very fast bulk inserting of data.